Hands-free shots, clear sound, smooth videos and unexpected angles: ever wondered what it takes to create an awesome Snapchat story? Andy Burgess, a British Snapchat filmmaker and content creator whose Snapcode was recently displayed in the Times Square in New York, shares 7 Snapchat tools professional creators use. There are 7 tools that Andy carries every day, excluding the number one tool - a smartphone with a Snapchat app. Watch the video below for the full story. Popsockets are expanding phone grips and phone stands. They stick to the back of your phone and you can then use them for better grip on your phone (whether simply to talk on the phone or take a selfie), as a stand, as a way to grip your phone to different surfaces and much more. Popsockets come in different colours, shapes and materials and you can even customize your own PopSocket by placing your own image - like your Snapcode for example - on the top of the handle! Get $2 off your Popsockets order with this link. Andy recommends AmazonBasics Power Bank $36.48) that will get you around 9 full charges. JOBY GripTight GorillaPod ($29.95) is a mount and flexible tripod that works with iPhone, Android, Windows phone and smaller tablets. You can easily wrap the legs around trees and poles, or get the balance on uneven surfaces so that you could make that perfect snap from an unexpected angle. Not necessarily something you could just go and buy off the shelve but definitely more of a hack that uses a fabric case / cloth bag that you might already laying around your home waiting to fulfill its purpose. In this case, to protect your snaps from unwanted noise (such as wind or otherwise). As we previously wrote, Snapchat Spectacles are now available to Snapchat Spectacles buy online in the United States. Giving a new prospective to your snaps, they offer multiple new ways for you to show not only what's right in front of you but also around you - when a viewer switches from a vertical to horizontal view of your snap. You can see how artists use Snapchat Spectacles to take animation and cinematography to a new level here. HISY Bluetooth Remote for iPhone and Android comes in different colours and lets you shoot from as far as 90ft away. 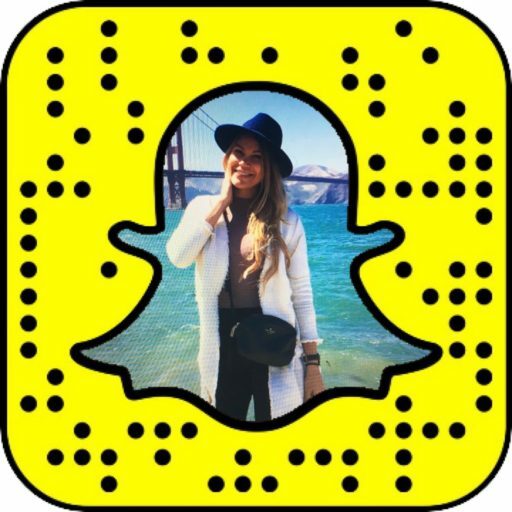 This is one of the top Snapchat tools professional creators use and one of their best kept secrets! DJI Osmo Mobile ($299) turns your smartphone into a smart motion camera smoothing out the video snaps even if your hands are very shaky. The device's intelligent functions allow to track an subject making it perfect for selfie video snaps (your face will always be in focus). Don't forget a spare DJI Osmo Intelligent Battery to prolong your DJI OSMO Mobile's life. With these tools, you you can shoot for high quality snaps. 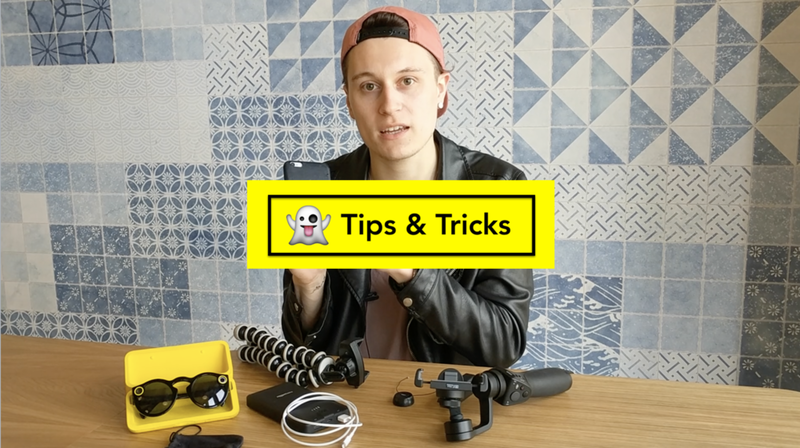 See what adventures Andy took these Snapchat tools professional creators use on and stay tuned for an interview with Andy on how to create best Snapchat Stories and work with brands! Mar 2 Hang in there: Snapchat Camera Drone is in the works!